Any time money isa bit tighter than usual, I know I can give my home an inexpensive upgrade by upcyclingotherwise forgotten household items. Whether I’m following an online DIY tutorial or just “freestyling” it creatively,I can easilyturn old junk into Instagram-worthy art like thisadorable “bike sweater” knitted by a crafty DIYer. Andwhen I discovered there were endless ways to upcycle my old coffeecans, I couldn’t wait to get cracking on a new project! Tin cans are a fantastic base for a wide variety of crafting projects from a DIY lantern to a makeshift robot to a homemade camera. DIYers everywherehave been experimenting with the various creative ways torepurpose this common household item into splashy, new home additions! If you’re anything like me, and you find yourself knee-deep in old cans, don’t chuck them quite yet. Instead, scroll through below to seehow you can become a “tin can artisan” in no time. Which of these can transformations would you want in your home? Let us know in the comments! 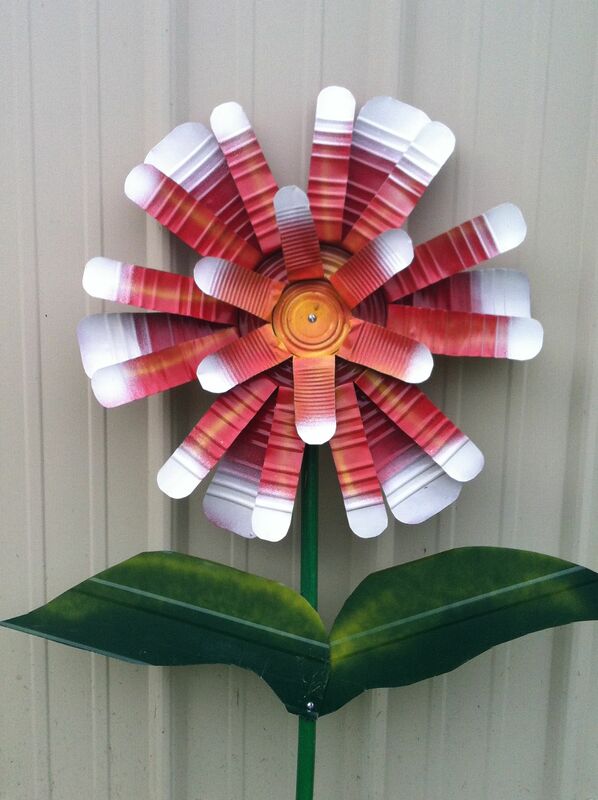 A deconstructed can makes a gorgeous blooming flower perfect to decorate your patio. 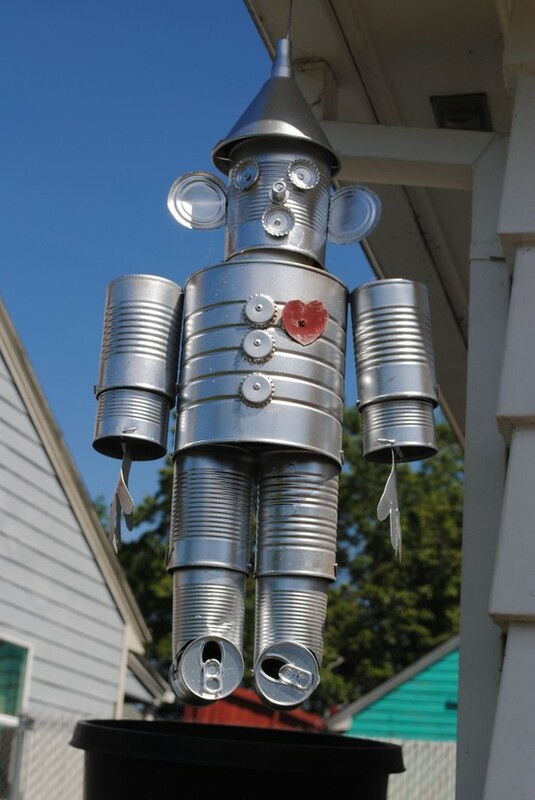 Instead of tossingthose old cans, build yourself aWizard of Ozinspired Tin Man. Transform an old can into a stunning working camera that is sure to impress your film-loving friends. These elegant wind-chimes look like they are straight out of a high-end catalogue. However, you can actually make them at home with a few beads and some colorful paint. Christmas might be over, but these old cans upcycle into an adorable holiday gift. Become the envy of your office with this combo can-and-keyboard DIY project. Old tin cans will entertain your kids for hours when repurposed into cute (and safe) mini-stilts. These gorgeous mossy vases were easily constructed withstencils, glaze, and a few neglected tins. You can grow delicious fresh herbs on your windowsill in these DIY spice cans. Convert a junked can into a table lamp, perfect for some late-night novel reading. Upcycled tin cans make a simple, yet stunning centerpiece for your next dinner party or company event. If you’re looking for a homemade gift idea, these DIY patterned candles will definitely be well-received. You can throw abackyard BBQ anywhere with this tiny “rocket stove” made from a few old tins, some twigs, and a bit of gas. Thesepaint-splattered wind chimes are a fun DIY project for the little ones. Old tin cans are so versatile that you can use them ina ton of fantastic upcycling projects. I can’t wait to get started on some of my own! Which of these can upcycle projects is your favorite? Let us know in the comments.